Men and women deal with many cosmetic issues, including scars and stretch marks. Scarring is often caused by acne, burns, and wounds, while stretch marks are related to puberty, changes in weight, and pregnancy. If you are searching for a soap that will fade or diminish the appearance of these skin imperfections, there are some products you can turn to for help. When choosing a cleanser for your skin, you may want to consider a natural product. 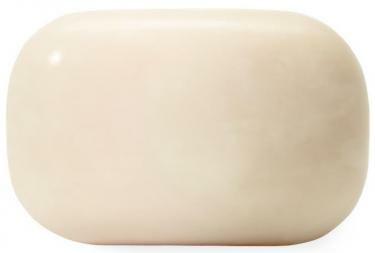 Something like the Scar and Stretch Mark Relief Soap from Eco Natural Soap Co. is a good example. It is organic, costs less than ten dollars, and is formulated to reduce scarring and stretch marks. The product gently exfoliates and evens out the skin, thanks to a blend of hydrating and healing ingredients like avocado oil, shea butter, and coconut oil. Another company that takes an all-natural approach to hair and skin care is OilBlends. They offer a wide selection of products, including soaps that are designed to treat common issues. Their Organic Shea Butter Soap costs around $8 and is made to tone the skin, add moisture, and remove imperfections like acne scars, wrinkles, and stretch marks. It includes shea butter (which is extremely hydrating) and castor oil (which can soften and smooth fibrous scar tissue). It is also soothing, which is ideal for anyone with irritated skin. Something that has been raved about by beauty editors at Marie Claire and other noteworthy publications is African Black Soap. It has a number of benefits, including: evening out skin tone, lessening acne and related scarring, exfoliating, and rejuvenating. 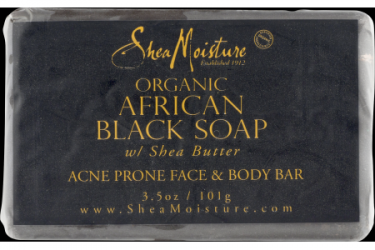 Not only will your skin look more radiant, but it works well on scars and stretch marks thanks to ingredients like aloe, shea butter, and vitamin E. The SheaMoisture brand African Black Soap Bar is around $6 and is organic, paraben free, and cruelty free. There are many well-known brands out there, but Palmer's is beloved by the beauty industry. In fact, Allure has featured and reviewed a number of their products. 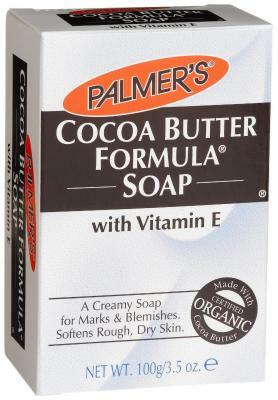 An item that works well on scars and stretch marks is their Cocoa Butter Formula Moisturizing Soap (around $4 per bar). It cleanses and moisturizes the skin with ease thanks to key ingredients like cocoa butter and vitamin E. Both have been found to hydrate and improve the appearance of skin imperfections. The end result is beautiful looking skin with a more even finish. Shea Butter. This is one additive you are likely to come across whenever you are searching for a skin smoothing soap. (It is included in both store-bought options and at-home stretch mark recipes.) Shea butter is made from the nuts of the karite tree and has both vitamins A and E. These allow the butter to hydrate the skin, heal scars, treat issues like eczema, and generally, repair damage. There are many other benefits of this ingredient as well, including its ability to promote cell renewal and heal acne scarring. Coconut Oil. If this next ingredient could be described in one word, it would be multi-purpose. You will never run out of ways to incorporate coconut oil into your daily life as it can be used for everything from cooking to scar removal. According to Chatelaine, people turn to this hydrating item because it may "stimulate cellular turnover and build collagen for faster healing." Its unique ability to smooth and hydrate the skin can also reduce imperfections like stretch marks. 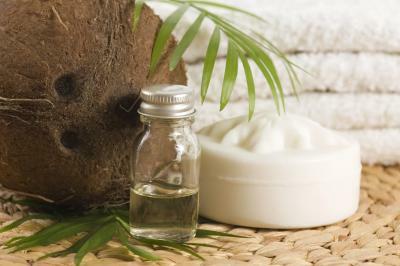 Coconut oil smooths and hydrates. Vitamin E. Something else you want to look for is Vitamin E. Though its effectiveness is a hot-topic (with some people praising it and some studies disproving its ability to reduce scars) it is often found in products that promote skin healing. This is because it is an important component in cocoa and shea butter - and can help fade stretch marks early on in their development. Cocoa Butter. 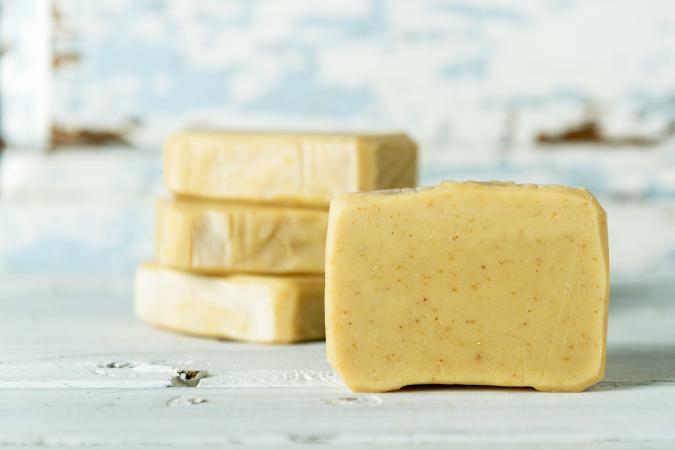 By far the most popular ingredient in soaps that target skin imperfections, cocoa butter is used to soften the skin, add hydration, and often times, to keep stretch marks at bay. Many pregnant women slather their stomachs with this to prevent stretch marks from forming. According to a Vaseline article on cocoa and shea butter, this is unlikely to remove a scar completely but can improve the appearance, keep the skin supple, and boost elasticity. Aloe. There are many reasons aloe has become one of the most used skin care ingredients. The short list includes its ability to reduce inflammation, soothe the skin, aid in scar healing, as well as its antibacterial and antifungal properties. Aloe Vera is believed to aid the regeneration of skin cells. This allows it to heal both new and old scars, stretch marks, and other skin imperfections. It is also hydrating, which can improve the overall appearance of the skin. Though not all scars and stretch marks will fade completely, most can be minimized. The effectiveness of the product you choose may vary depending on the size, color, and placement of the scarring. However, consistent use of targeted products can lead to noticeable results. Are you bothered by scars and stretch marks? Don't lose hope. Instead, focus your attention on the products you reach for on a regular basis. Be sure to choose a soap that is formulated with natural ingredients and hydrating properties. While skin imperfections are unlikely to vanish completely, their appearance can be improved.